As tempting as it can be to take care of tree trimming and related tasks yourself, the professional touch is usually your best bet. Hiring a tree service can be tricky for first-timers, though, and there are a few factors to take into consideration before you commit. Owens Brothers Tree Service is the go-to company in the Bronx, whether your trees require pruning or full-on removal. For those who need help getting the ball rolling on the hiring process, it helps to ask yourself a few key questions in advance. What Level Of Tree Care Do You Provide? Before you start sourcing tree companies, assess the level of work you have in mind. For instance, you should take the tree's age into account when deciding whether you need tree trimming or removal. The job type will play a major role in the company's initial estimate, and sizing up the problem beforehand will allow you to compare quotes and effectively communicate what needs to be done. Is Tree Trimming The Company's Specialty? 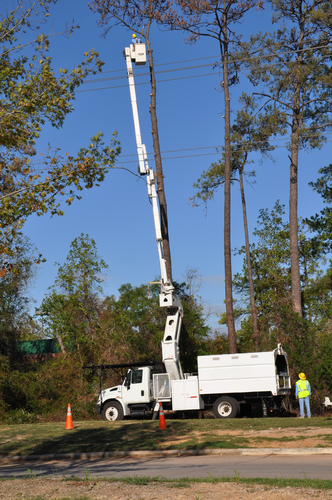 For some companies, tree work is just one subset of the services they offer. While a local handyman may come through with the promise of a lower rate, trees are serious business. There are quite a few risks involved, especially when trees are located close to houses or power lines, so specialized tree services should be preferred. On the topic of safety, you want a tree service that will protect both you and your property. Should any mishaps occur, they should be covered and you should be free of liability, so don't overlook the importance of hiring a company that is both licensed and insured for the job. Reputable companies will happily share their most recent references, so feel free to check out their work and decide for yourself. You can also reach out to previous customers, and see if they pass the word-of-mouth test with your neighbors. There's no such thing as too much research when it comes to hiring a tree service. It's dangerous, precise work that requires a certain level of expertise, so don't hold back when asking questions. Bronx-area residents have been turning to Owens Brothers Tree Service for the best tree care and removal services since 1959. Call them at (718) 885-0914 to request a free estimate, and visit their website for more information.